Medjugorje, in Bosnia and Herzegovina, is the most sacred place in the region. For nearly 40 years it is a place where pilgrims from all over the world gather to pray and to celebrate God and Virgin Mary. It is a great place to visit if you are interested in religious tourism. Medjugorje is a village of 4500 people, located in the Herzegovina region of Bosnia and Herzegovina, close to the Croatian border and the town of Mostar. The village, that is inhabitant by Croatian Catholics, became famous in 1981 when 6 local children allegedly saw the Virgin Mary on a hill above the village. Since then, Medjugorje has become a popular site of Catholic pilgrimage. Over the years, Medjugorje has turned into a sought-after tourist destination that receives more than million people per year. The entire village is involved in the development of the religious tourism, so you can easily find a traditional restaurant or a private accommodation. Medjugorje is a village located in the Herzegovina region in the south part of Bosnia and Herzegovina. The village is located close to the Croatian border, less than 2 hours away from Split and about 2h30 from Dubrovnik. It’s also about half an hour away from Mostar. 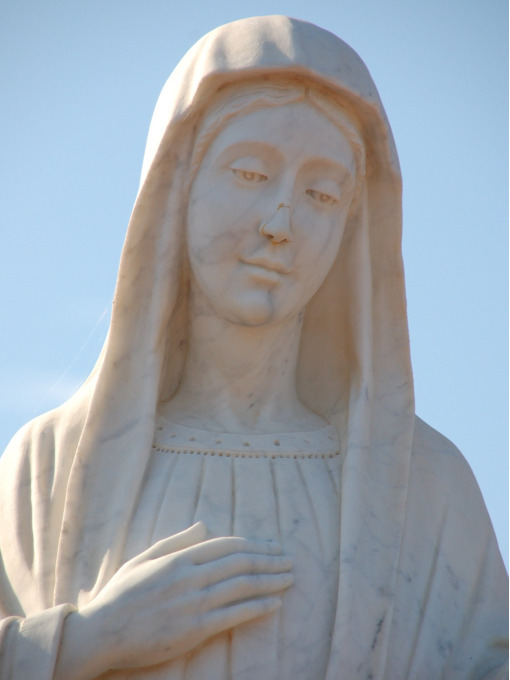 The pilgrimage site in Medjugorje is dedicated to Our Lady of Medjugorje. The story of Our Lady of Medjugorje began on 24th of June 1981 when six local children allegedly saw Virgin Mary while walking on a hill that rises above the village. After that day, they began to have daily apparitions. Through the visionaries, Our Lady gives her messages to the parish and to the world. These messages continue to this day. Also, each visionary was confided a different prayer intention by Our Lady – they pray for unbelievers, for families, for the sick, for young people, for priests, and for the souls in purgatory. The visionaries often join priests and pilgrims in their prayers and together they celebrate Our Lady of Medjugorje. Although the pilgrims visit Medjugorje throughout the entire year, there are several big dates when they gather in greater number. The greatest number of pilgrims come for the anniversary of the apparitions in June, but Marian feast-days such as the Annunciation and the Assumption also attract many pilgrims, as well as the greater church holidays such as Christmas and Easter. Besides the church events, there are also some events which have become part of the customary annual gatherings. These are The International Peace March from Humac to Medjugorje on June 24th and The International Youth Festival, that takes place in Medjugorje every year from July 31st to August 6th. Until this day, the Pope and the Catholic Church have never confirmed the Marian apparitions in Medjugorje, but they have allowed the official pilgrimages. The unconfirmed status of the site and the apparitions had never stopped the believers from coming to Medjugorje. In fact, the number of pilgrims increases year after year. There are several official praying areas that pilgrims visit while in Medjugorje. These are the parish church, the Apparition Hill and the Cross Mountain. 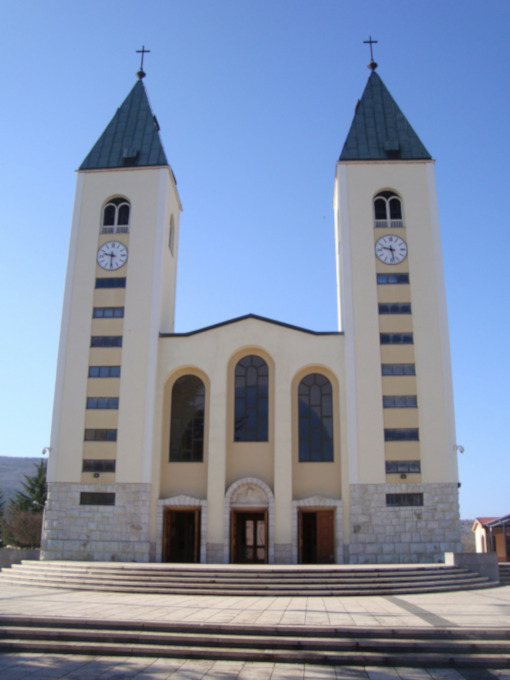 The parish church in Medjugorje was finished in 1969 to replace the older and smaller church. The new church was dedicated to St. James and it still holds that name today. The Church of St. James is the center of sacramental and prayer life for both parishioners and pilgrims. After the Marian Apparitions, the number of pilgrims increased, and the church needed an extension. The church and its surroundings have been rearranged and the exterior altar was built in 1989. Together with this altar, the prayer area with about 5000 seats was constructed. It’s here that the Holy Mass takes place in the summertime and for big feasts, when thousands of pilgrims gather in Medjugorje. The church has a detailed weekly prayer program that includes the Holy Mass in Croatian, but also in several other languages. The program also contains of daily confessions, blessings of rosary, adoration of the Most Blessed Sacrament, prayers, etc. The Križevac Hill, also known as the Cross Mountain, is yet another hill that rises above the village of Medjugorje. This hill was dedicated to Jesus Christ. On the top of the hill there is a big cross, placed there in 1934 in remembrance of the 1900 years since the death of Jesus. After the Our Lady’s apparitions, the believers started to pray the Way of the Cross on their way up the Cross Mountain. In the beginning, the stations were marked with simple wooden crosses, but were later replaced by bronze reliefs, in 1988. 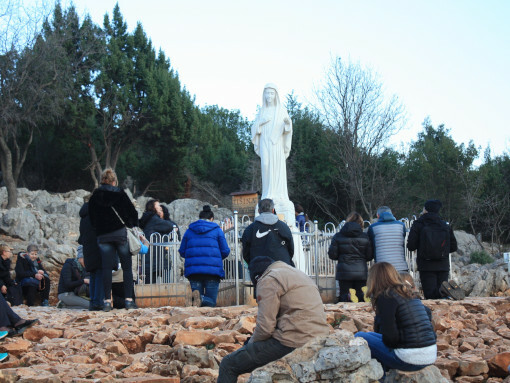 The so-called Apparition Hill was actually called Podbrdo but it has been renamed by the people of Medjugorje after the first apparition took place. It’s on this hill that the children had their first encounter with the Virgin Mary. 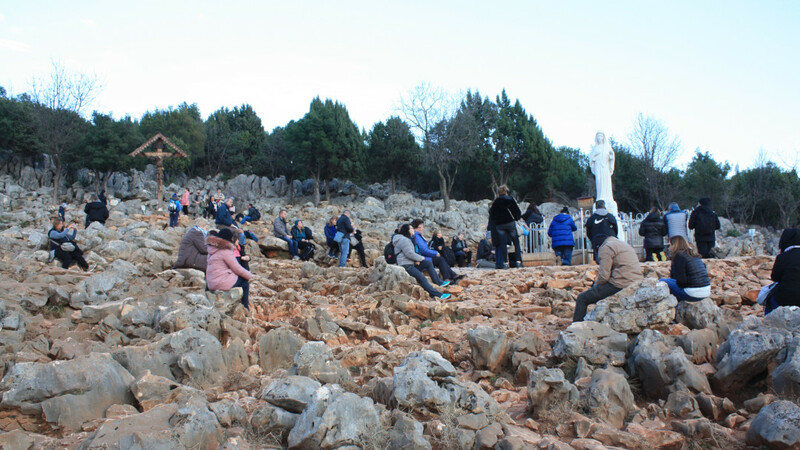 On the top of the hill, there is a statue of Our Lady of Medjugorje that was placed here, at the very place of her apparition, in honor of the 20th anniversary of the apparitions. A steep path leads from the houses beneath the hill to the place of the apparition. Along the way bronze reliefs were placed in 1989, that represent the joyful and the sorrowful mysteries of the Rosary. 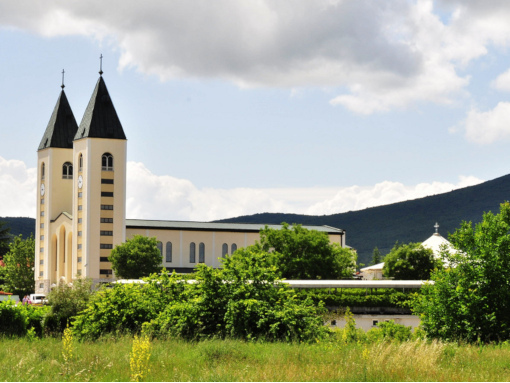 For those of you who are coming to Medjugorje by car, there is a big parking space next to the Church of St. James, as well as free of charge parking lot near the Apparition Hill and the Križevac Hill. You can get to Medjugorje by car, bus or plane. The closest airport is the one in Mostar, which is located about 25km from Medjugorje. Alternatively, there are Split and Dubrovnik Airports in Croatia, both about 150km from Medjugorje. You will need about half an hour to get to Medjugorje from Mostar. Once you get out of the town, turn left to the regional road R424 and follow it all the way to Medjugorje. On your way you will be passing several villages, but just continue straight forward. 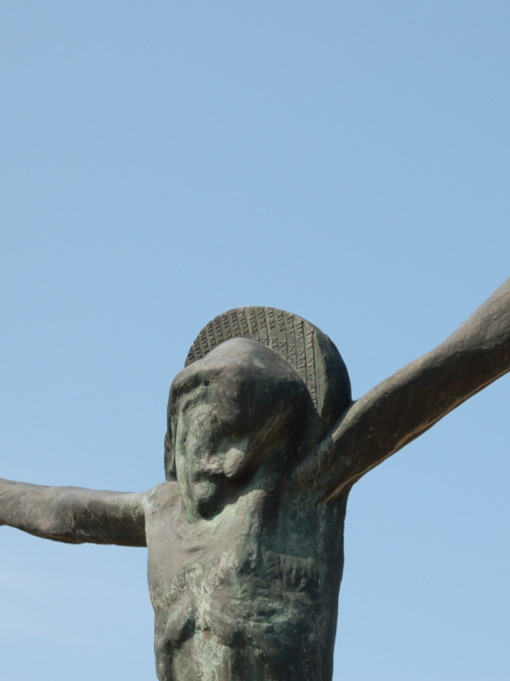 When you finally reach Medjugorje, follow the instructions for the Church of St. James or for the Apparition Hill. You will need approximately 1h30 to get from Split to Medjugorje. The easiest way is to take a highway A1/E65 leading to the border crossing of Bijača, where you will enter Bosnia and Herzegovina. After the border, you will continue on the A1 to the toll station Zvirovići. Next, take the state road R425a, following the signs for Medjugorje/Mostar. The ride from Dubrovnik to Medjugorje takes about 2 hours by car. After leaving Dubrovnik, take the state road D8 all the way to Opuzen. Next, take the right exit for Sarajevo/Mostar and continue to Metković. In Metković, take the left turn, cross the river Neretva, and continue to the north until you reach border crossing Zvirići. After passing the border, get on A1 and follow it to the toll station Zvirovići. Next, take the state road R425a, following the signs for Medjugorje/Mostar. Bosnia and Herzegovina is still developing its highway network, so pay attention while taking the regional roads. Due to the roads condition your trip may take a little longer than you expected. For the same reason, if you are visiting Medjugorje from Croatia, tend to stay at the Croatian side of the border as long as possible. It may seem a longer way, but you will actually save time since the roads are better. Medjugorje is a popular tourist destination for tourists staying in Dubrovnik or Split. If you decide to stay a little longer in the region, here are some other places worth of visit. Mostar is one of the most beautiful towns in Bosnia and Herzegovina. It is a place where western and eastern influences blend and convive. 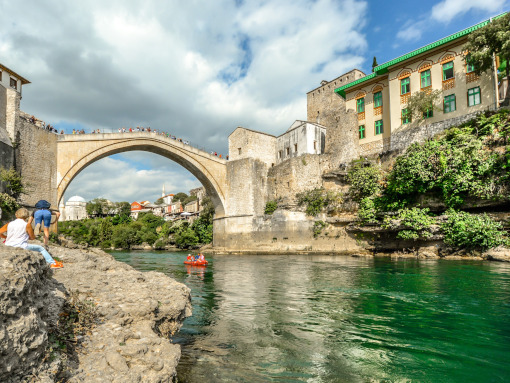 Although the town is famous for its iconic bridge across the Neretva river, Mostar has much more to offer. In this old town in Herzegovina, you will find not only mosques (which are great in number) but also Catholic and Orthodox churches, as well as a Jewish synagogue. Mostar is located about 30 minutes’ drive from Medjugorje. Blagaj is a village located about 40 minutes from Medjugorje. There are several sites you can visit here. 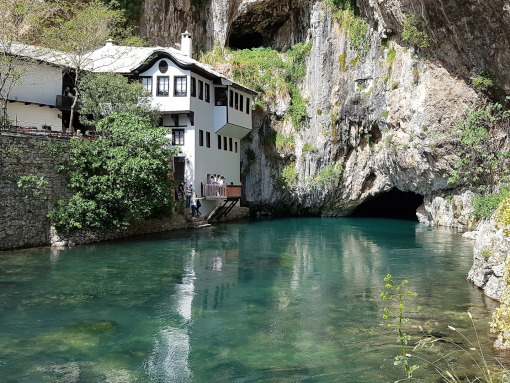 One of those is the Tekke Blagaj, historical Dervish monastery, located at the Buna river spring, under the hill. 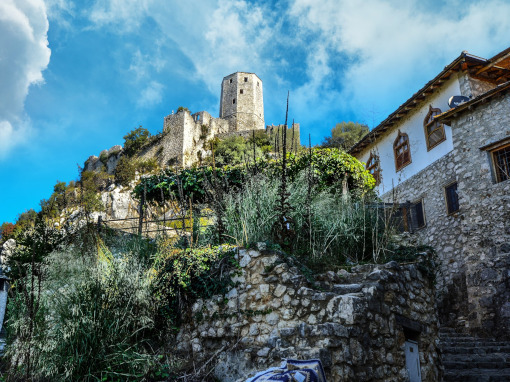 Above the spring, on the top of the hill, you can visit the Blagaj fort, the old fortress complex built in the 10th century, also known as Stjepan Grad. Apart from visiting these sites, you can also take a walk through historical streets of Blagaj or enjoy a meal or a coffee by the river. About half an hour drive from Medjugorje, there is another historical village called Počitelj. Počitelj houses yet another fort on a hill, overlooking the village and a river beneath it. Closer to the river you will find Sahat Kula, the bell tower, and the Šišman Ibrahim Pasha Mosque. An entire village is made of stone, using a traditional way of building. All in all, Počitelj is a nice place, ideal for a short visit. Marzito organizes day-trips or transfers to Medjugorje from Split and Dubrovnik or any other town. Check our offers here! For more information and offers, feel free to contact us! Send us an email at [email protected], or click here!